Qatar Airways has announced that they have converted 10 of their Airbus A321neo order to the A321LR, a longer range variant. 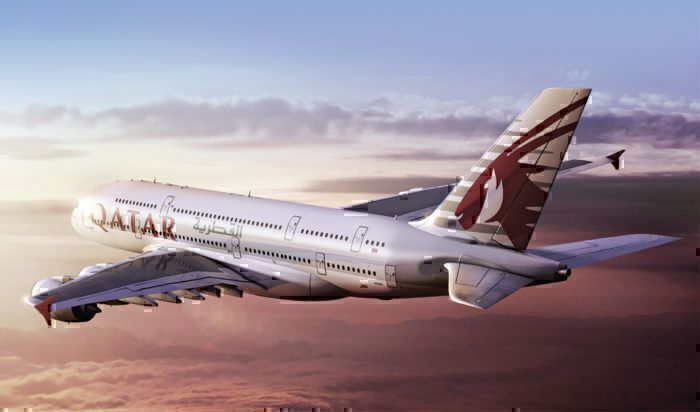 Chief executive Akbar Al Baker says that this change will allow Doha to connect with ‘new growing markets’ with the first of the 10 aircraft due for delivery in 2020. Th total order of A321neos is for 50 aircraft. 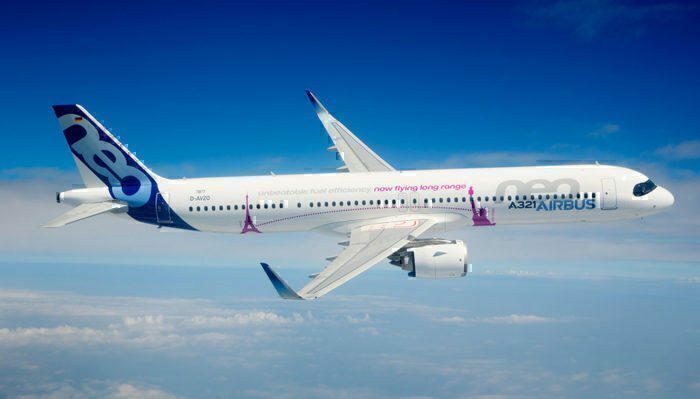 The first of the A321neos will be delivered this year, but in 2020 the deliveries will start becoming A321LR versions, capable of reaching further than the neo version. Why should Qatar order the A321LR? The decision by Qatar to adjust their Airbus A321 order comes down to two main things. Economy and reach. Economy is obvious. Although Middle Eastern airlines typically love their giant widebody aircraft, there’s a problem with planes like the A380. When full to capacity, they are cheaper to operate than an A321, but it’s very, very hard to fill them to capacity on every single flight. Even with fewer seats in coach and the Qsuite up front, flying at 70% or 80% capacity makes these big birds extremely expensive to fly. Using an A321LR will enable Qatar to reach those thinner destinations which are currently unserved or underserved from their region. This means they could start offering service in places where the A380 simply can’t land, or where it would be uneconomical due to lack of demand. So why switch out the A321neo? It’s simply because the A321LR can go further. This means it’s capable of working medium to almost long haul, but in an easier to fill to capacity narrowbody format. Where will Qatar fly the A321LR? The A321LR is essentially an A321neo with extra fuel tanks. This means it can fly further than any other single aisle jet, with a published range of 7,400km and around 11 hours flying time. As you can see from the graphic below, this puts all of Europe, Africa and most of Asia within reach of their Doha hub. Qatar previously said they planned to serve a total of 250 passenger destinations by 2022. With around 160 destinations currently served, they would need to add roughly 22 new locations per year to achieve this target. “We are still searching and networking to reach our target of 250 destinations as planned and also to send the message to the world that we will keep on marching forward and nothing will stop us”. Undoubtedly the fact that Qatar is hosting the 2022 World Cup is spurring Al Baker on to ‘march forward’ so they can become the airline of choice when it comes to fans from all over the world visiting for the matches. In May last year, the first Qatar flight landed in Cardiff. This complemented their current three services to England (London, Birmingham, Manchester) and one in Scotland (Edinburgh). Northern Ireland are woefully underserved by long haul carriers. Since Norwegian abandoned their transatlantic flights from Belfast International, there’s now just one long haul route to Orlando, operated by Virgin Atlantic, and even that’s only seasonal. Unless they’re headed to the Spanish Costas, Canary Islands or Greece, Northern Irish passengers generally have to get as far as London before any onward connection is possible. Flying an A380 to Belfast would be ridiculous, as finding more than 500 people in Northern Ireland who want to go to Doha all at once would be like winning the lottery. Could they be the first of the ME3 to serve all four UK nations? The A321, on the other hand, would be perfect for the job, and would make Qatar the first of the ME3 to serve all four UK countries. 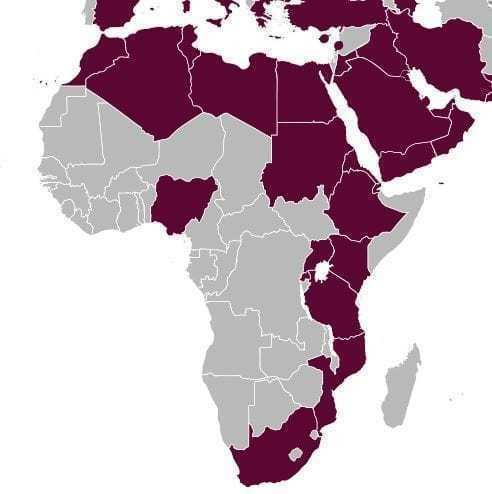 Qatar have enormous gaps in their service to many parts of Africa. While some Eastern and South African destinations are catered to, Central and Western Africa have no Qatar service at all. Many up and coming African nations would cry out for a high quality service to transport them to a major hub, such as Zimbabwe, Namibia and Botswana. Aside of Lagos, none of the Western African nations are served, although we fully expect this to change very soon. Commenting on the sidelines of the Doha Forum, Al Baker stated that they already have plans in place to begin service to Western Africa. He said that Ghana was a firm destination on their list, and that they expected to begin service by the middle of this year. Although they won’t have the A321LR by then, it makes clear what the strategy is. We fully expect many more African routes to be taken up by Qatar over the next couple of years, and the A321LR is the ideal vehicle to deliver. It would be a large middle finger to their neighbors too. We talk a lot about how China is a massive growth market, and undoubtedly Qatar have their sights set on getting a piece of that pie. They do currently serve seven of the 10 busiest airports in China, but perhaps want to lay on a service which is guaranteed to be filled on every trip with the smaller A321LR. Alternatively, they could be looking at new destinations within China, which would make sense to use a smaller aircraft to serve. Of the 10 busiest Chinese airports, Qatar don’t currently have any service to Shenzhen in Guangdong, Kunming in Yunnan or Xi’an in Shaanxi. Between these three airports, they catered to more than 140 million passengers in 2018, and that number is only set to grow. Solidifying Doha as the transit hub into Europe and even Africa could strengthen Qatar’s position as a major carrier in China. We’re not entirely surprised to see Qatar order the A321LR. It’s quite telling that it’s just 10 of their aircraft which have been switched out, suggesting Al Baker already has a firm game plan for his next newest destinations. Where do you think they’ll fly the LR? Two thoughts arise from this article. First, Qatar Airways has a lot more aircrafts than A321s and A380s. Along with A330s, A340s, A350s, they also have a bunch of B777s and B787s. Then, because of the blockade, flying to most African destinations is at the moment not very profitable, considering the long detour around Saudi Arabia, Emirates and Egypt.